Why Not Consider A Prefabricated In-Plant Office? Do you need to set up some enclosed rooms within your pants. Perhaps you would like to provide an area for offices, break rooms, or even meeting rooms. Have you considered all of the advantages of having a prefabricated in-plant office designed, manufactured, and installed quickly, safely, and inexpensively? You have a lot of choices when you decide to set up inplant offices. You might have a traditional construction company do the job, but that job can take weeks and be very expensive. Also, you are bound to lose even more money because of the disruption to your work. Doing traditional construction is expensive and takes a lot of time. You might also decide to rent space in another building, but that means you have another monthly cost that does not get you an asset. Besides, it also means that the office will not be convenient to your production floor and workers. This might not be the best solution either. Meanwhile, a modular in plant office can provide the best solution. You can choose the design, have it precisely engineered in a factory, and then see it installed in hours after it is delivered. This is truly the modern business solution that today’s businesses require. You also have the luxury of having offices set up right where you need them. This could be on your factory floor or even on a platform that acts as a mezzanine over the floor. In fact, these heavy-duty mezzanines are a great way to make the most efficient use of your available space, and that is why they are becoming a very popular choice today. 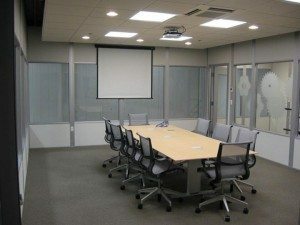 Maybe it is time for you to learn more about these manufactured rooms for your business, organization, or even personal use. 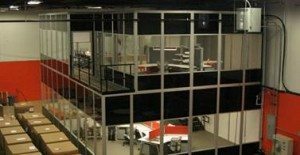 How Are Modular In-Plant Offices Constructed? First, you speak with the manufacturer’s representative. She can show you photos of the inside and outside of several models that are already designed. Then you get the chance to customize the office to your specifications. These enclosures can include one office, multiple offices, or even a variety of different types of rooms. Perhaps you need a cleanroom, employee breakroom, infirmary, or other types of functional spaces. The design can be tailored to your needs, and the manufacturer’s engineers and designers can provide you with assistance to create almost anything that you can imagine. After you sign off on the plans, the parts will be precisely engineered right inside of the modern manufacturing plant. After each piece has been created, they will be inspected by quality-assurance experts. This process saves both you and the manufacturer trouble and money. Nothing goes out the door until it has been reviewed and signed off on. Then the parts are loaded into a truck for delivery to your own plant or other site. They will travel with skilled and experienced technicians, and these people will oversee the installation of your new modular in plant offices. You will probably be amazed when you see how quickly these high-quality parts turn into the rooms that you pictured when you ordered them. After you are satisfied with your new rooms, you sign off. The manufacturer will not be satisfied with the job until you are, and you get control over every aspect of this process. Once the technicians leave, the prefabricated in-plant office will be ready for you to use as you see fit. Doesn’t this seem like a much better solution to your office needs than waiting for weeks to get typical construction projects completed? If you are ready for a quick, safe, high-quality, and affordable solution to your space needs, you can start looking at your options right away. To learn more, you can browse the website or contact the manufacturer’s customer service department. They can walk you through the entire process, so you will be comfortable with the smart decision that you are about to make! These pages can tell you more about this inplant office solution, and you will also find contact information so you can order a prefabricated in-plant office today.